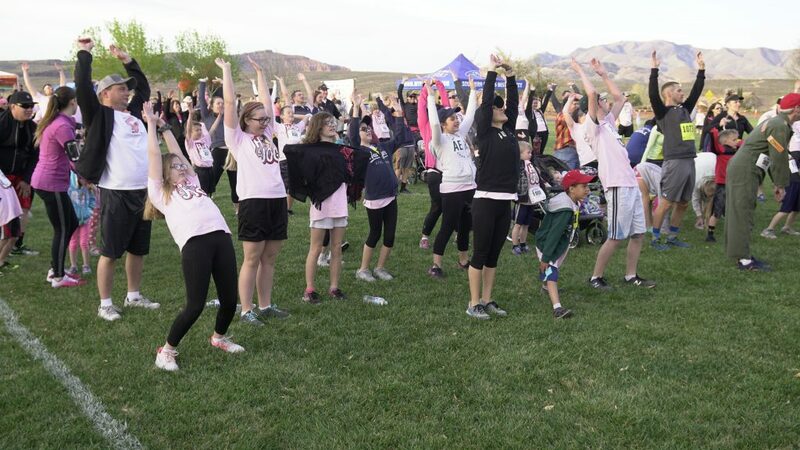 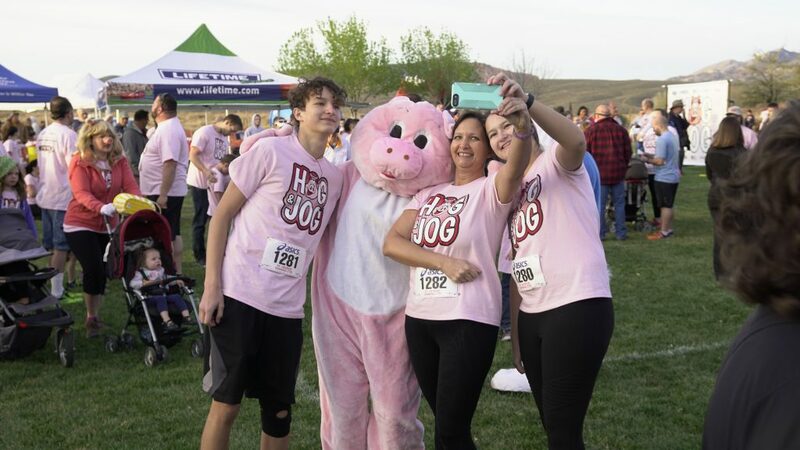 IVINS — Santa Clara-Ivins Fire Department received a big boost this weekend after hundreds of runners clad in pink T-shirts and piggy noses participated in the annual Hog and Jog 5K Saturday. 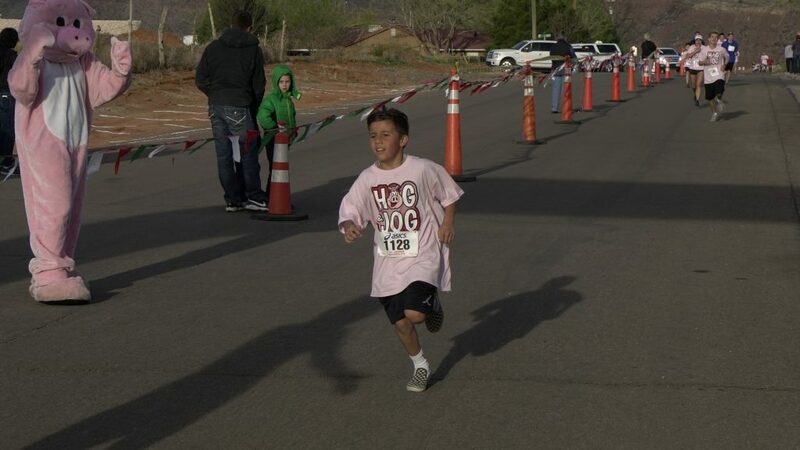 The race, now in its fourth year, took place at Unity Park in Ivins. 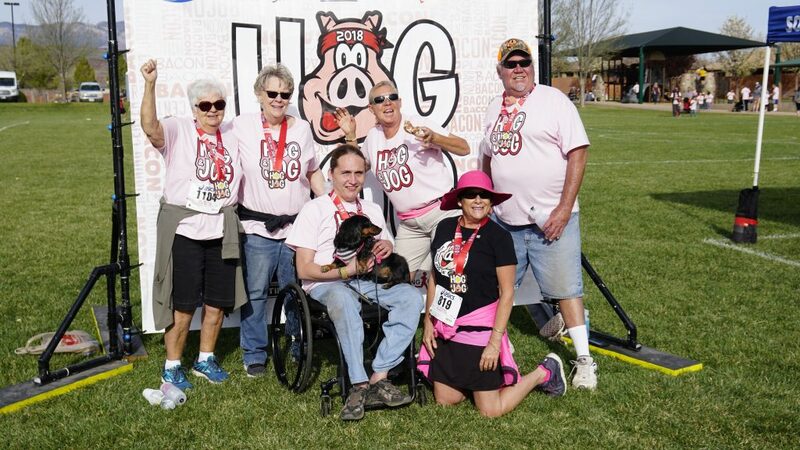 About 900 participants walked, jogged and rolled to the finish line – where a bounty of bacon awaited them. 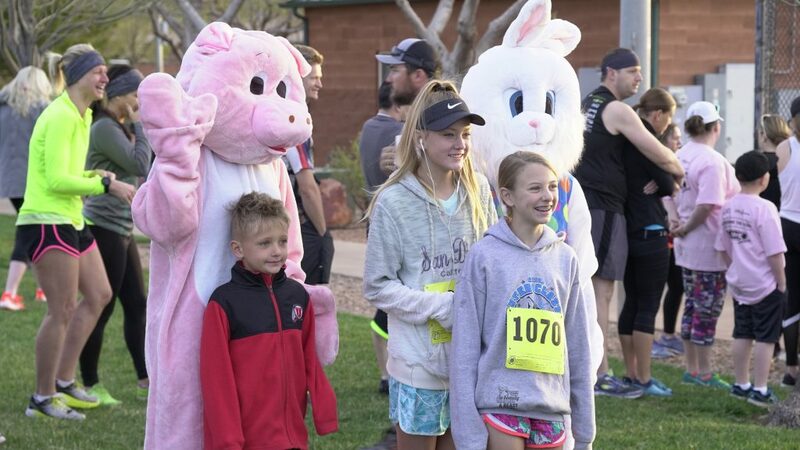 “It’s so fun to see everybody and people getting out and having fun with their families,” Steve Hooper, one of the race directors, said. 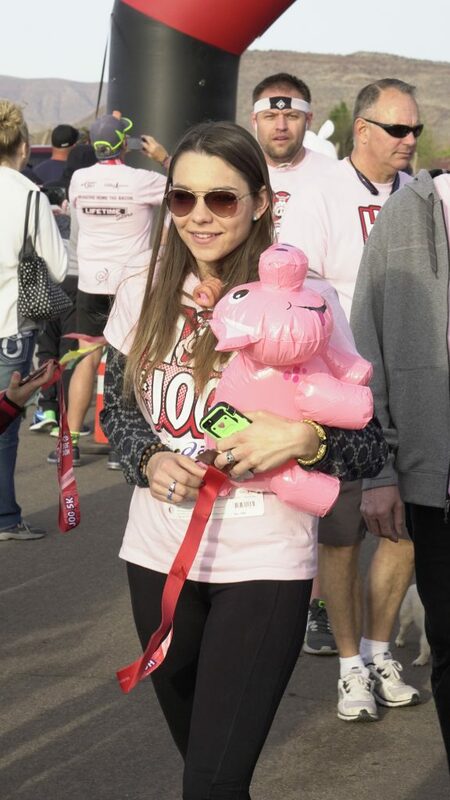 From each race participant’s entry, $2 was donated to the mostly volunteer force of the Santa Clara-Ivins Fire Department. 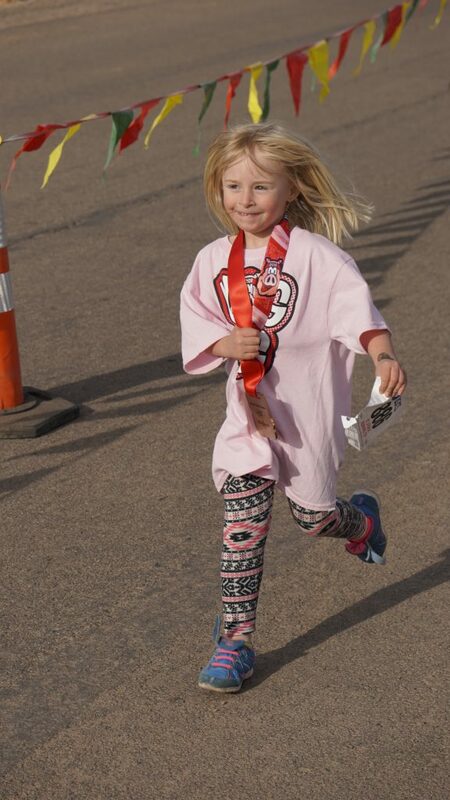 “They were able to raise close to $2,000 for us today,” Santa Clara-Ivins Fire Chief Dan Nelson said. 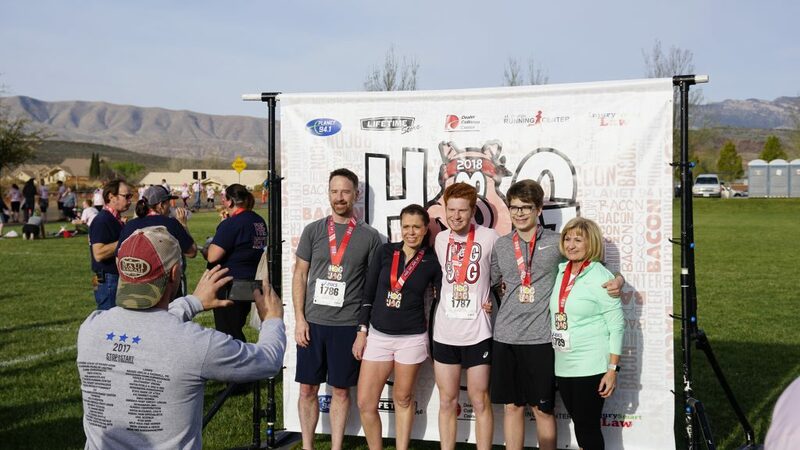 The department provides both cities with fire and rescue coverage and continued training for volunteer firefighters and EMS personnel every month. 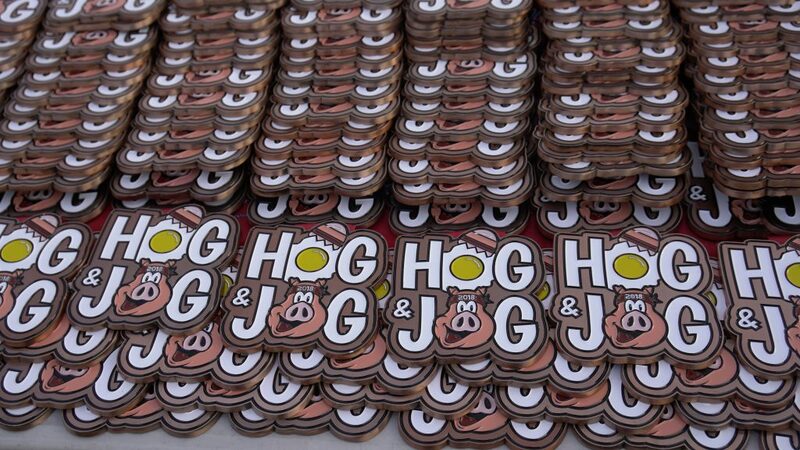 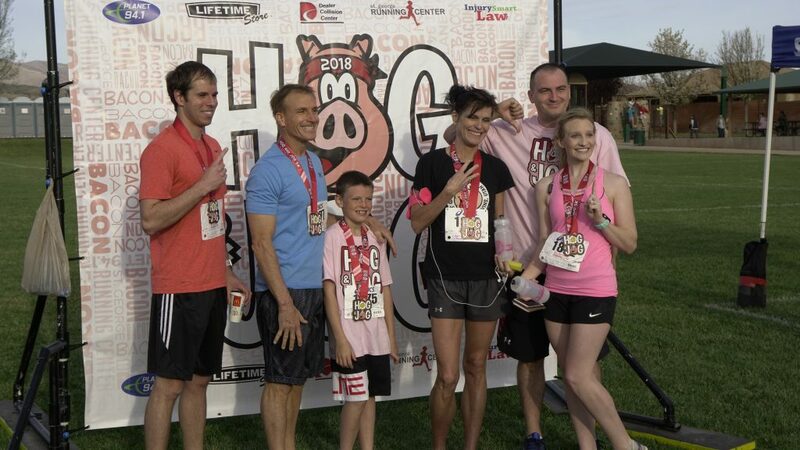 Proceeds from the Hog and Jog 5K will help fund equipment upgrades and training. 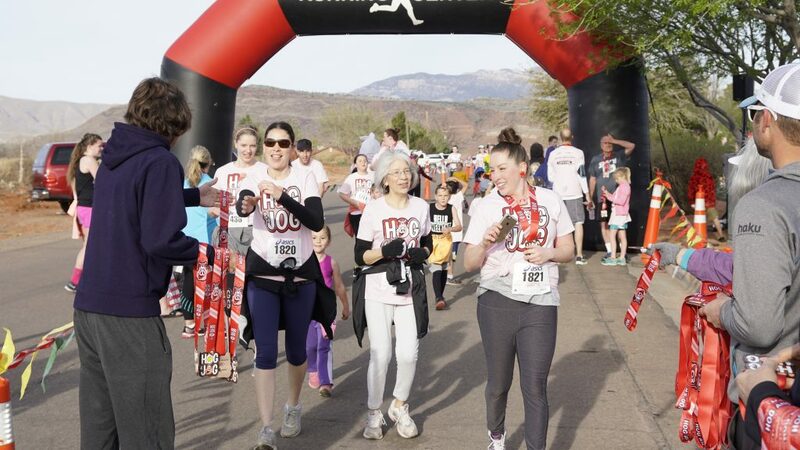 Participants enthusiastically made their way through the course around the park, knowing a salty, savory prize awaited them at the finish line. 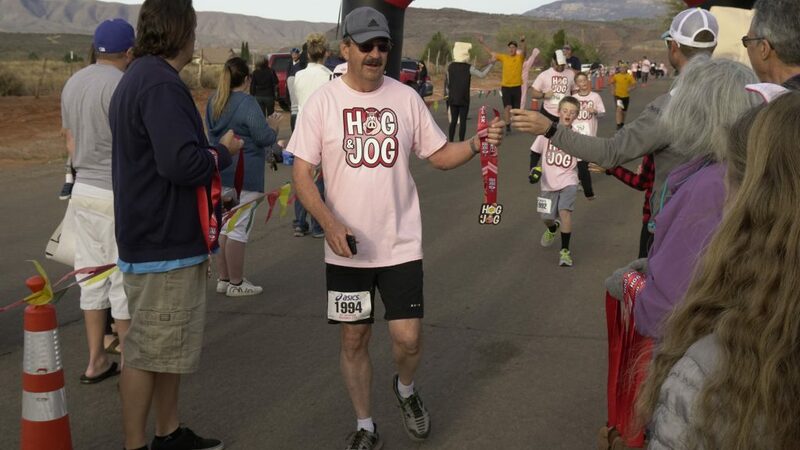 Finishers indulged in bacon pizza, bacon doughnuts and plenty of classic strips of bacon. 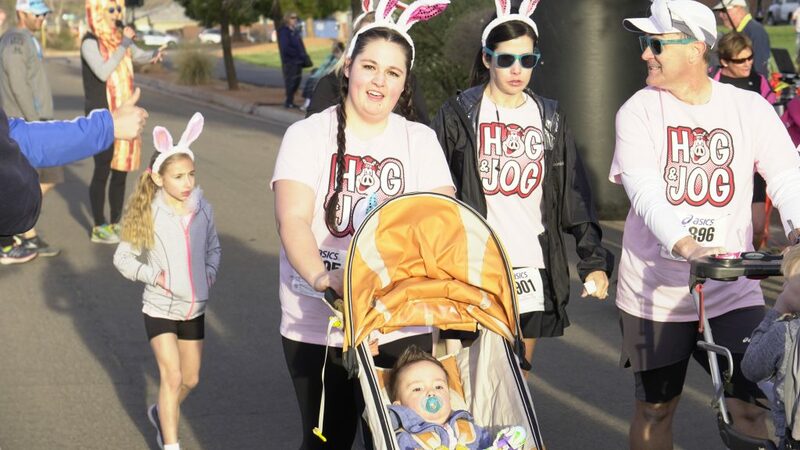 See St. George News’ multimedia coverage of the Hog and Jog 5K in the video at the top of this report and the photo gallery below.